The predecessor to the A7X, the A7, became the most famous of all ADAM monitors in a very short time. Not only has it been reviewed over three dozen times with outstanding results, it has also received numerous awards. The A7 quickly gained mass appeal, praised in many of the world’s largest internet forums. 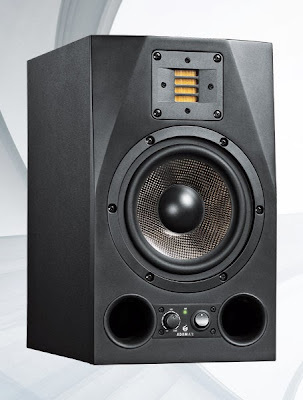 Still today, the A7 are the reference monitors in many smaller studios. With the A7X, ADAM Audio proudly presents the evolution of a legend. It takes everything that made the A7 such an outstanding speaker to a new level. The first aspect that distinguishes the old from the new model is the X-ART tweeter. The ‘X’ stands for ‘eXtended frequency response’ and thus for one of the features of the Accelerating Ribbon Technology that has been drastically improved: the frequency response. It now extends all the way up to 50kHz. In addition, the X-ART tweeter has a higher efficiency and higher maximum sound pressure levels. Each driver has its own dedicated amplifier. A 50W A/B amp is responsible for the X-ART tweeter, while the midwoofer is being driven by a 100W PWM amp. 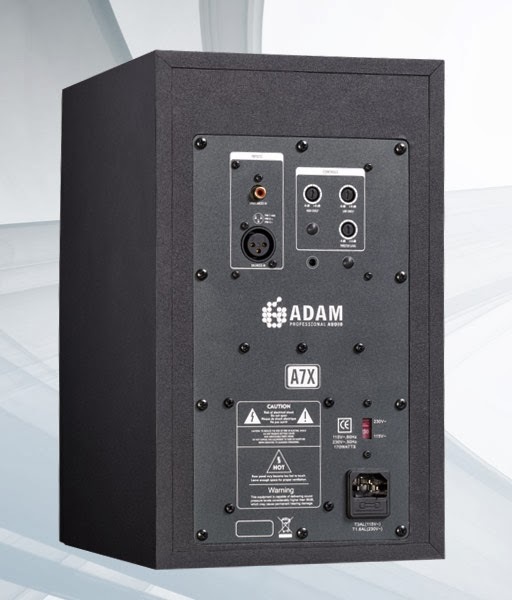 The front panel includes a power switch and a control for the volume that retains the volume setting independently from the on/off switch. On the rear panel are several additional controls: a gain for the high frequencies (± 4dB) and two shelf filters for high and low frequencies. To ensure greater compatibility, there are both XLR (balanced) and RCA (unbalanced) connectors.